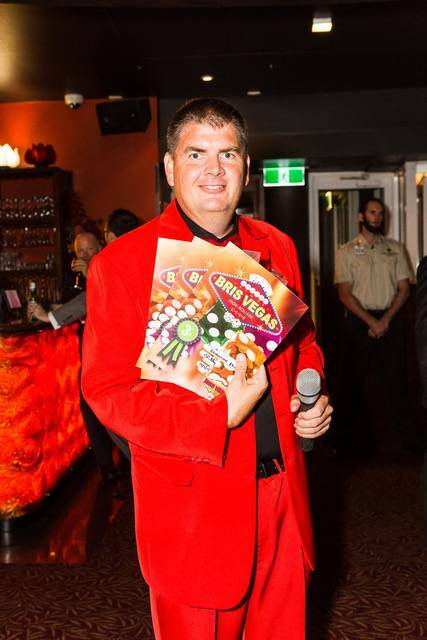 Bris Vegas Casino Fun Nites was formed in 2006 and is owned and operated by Timm Stay.Timm has over 30 years of experience in the entertainment industry. This experience comes from operating a range of business, including Magician, Santa Claus, Amusement Center Owner/Operator, Jukebox Party Hire Business, Casino Croupier and of course Bris Vegas. This combination of gives Timm a unique ability to deliver a fun, entertaining business with a touch of Vegas excitement that consistently surpasses customer expectations. Bris Vegas Casino Fun Nites is currently located in Ormeau, Queensland, half way between the Gold Coast and Brisbane, and continues to service loyal and new customers in the Brisbane/Gold Coast/Sunshine Coast region. Approximately 80% of the functions Bris Vegas hosts are in and around the Brisbane area, but our staff are happy to travel to Regional Queensland and Northern New South Wales upon request. Bris Vegas currently employs over eighty professional Casino Croupiers on a sub-contractor basis and has a comprehensive range of tables, illuminated furniture, red carpets and amusement games available to add that special casino touch to your private party, corporate function or fundraising event. A Bris Vegas Fun Nite operates purely for entertainment so players have nothing to lose. In addition to our traditional Casino Fun Nites, Bris Vegas can also be run as a fundraiser to help raise funds for your Charity, Sporting Club, Social Club or School event.